Profiting from your friends has never been easier! It doesn't get any easier than this! Just use the social sharing links on every product page, and we'll generate a custom URL to post to Facebook, Twitter, or send by email that tracks your friends' clicks. If they buy something, you'll get 4% of whatever they spent deposited to your Wallet. Scroll to the top of the page and click the My Account link to sign in. 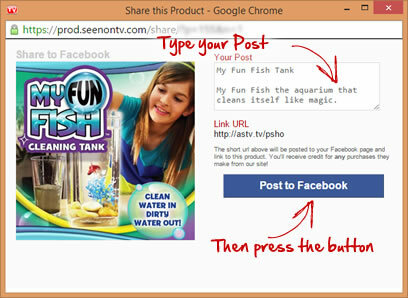 Visit any product page and look for the Social Sharing icons. These are only visible when you're signed in from a desktop or tablet. 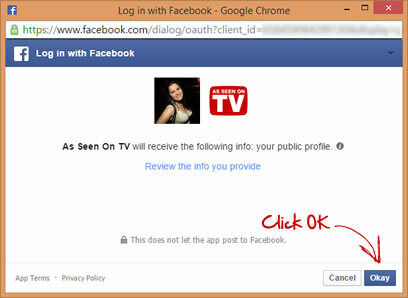 Follow the instructions to link your Facebook or Twitter account (don't worry, you'll only have to do this once). This lets us post a trackable URL so you can get credit for when your friends click your link. 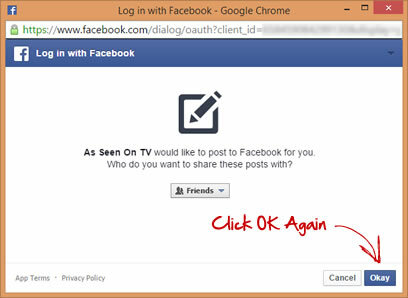 Step 4: Type your Post and Share! Type the text you want to appear in your social post and press the Post button. Once the post has been made, the window will close and you'll be able to see your clicks on the product page and track your earnings in the Referrals section in your Account. You'll need to do the initial signup from a Desktop or tablet with a larger screen instead of your phone, but don't worry, you'll only have to do it once. Once it's done you'll be able to track clicks and spend your earnings from Desktop and Mobile devices!